Pretty Bald: Too Ugly For Love? Or is it a happy ending? At the beginning of January, you may have seen our post about TLC television programme 'Too Ugly For Love?' and our take on the controversial title! The programme, which features Alopecia UK Charity Manager, followed ten singletons as they embarked on dating adventures, all the while hiding secret medical conditions. 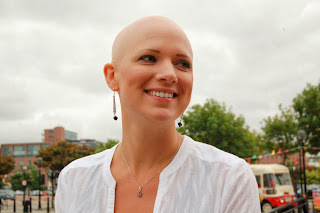 For Jen, this was Alopecia Universalis, the hairloss condition which means she has no hair anywhere. Jen appears in Episodes 1, 2 and 4 alongside others, telling her very personal story! Many people have mentioned the fact that unfortunately, they didn't have access to the TLC channel to watch the programme, so for ease we've added Jen's excerpts to our YouTube channel for you to watch! Don't forget to subscribe to the channel! P.S. Sorry the recordings aren't perfect!